To inquire about Speaking Engagements. He is the co-author of the book PRIDE: You Can’t Heal If You’re Hiding from Yourself along with many adult coloring books. He is also a passionate speaker/advocate about health and wellness among medical students as they navigate the demands of school. 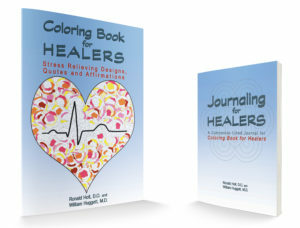 His first Coloring Book for Healers is coming out in September 2018. He loves facilitating experiential learning seminars, workshops, and/or presentations in medical, academic, and corporate settings. He advocates for diversity and inclusion in the workplace emphasizing how and why it is so important to create a welcoming and safe work environment for the LGBTQ+ community. He also advocates for health and wellness among medical students. Check out his inspiring coming out story on YouTube here. Dr. Ron Holt has prepared a series of videos entitled How to Come Out Safely. In video one Dr. Holt introduces himself and explains why this video series is so vitally important for the health and wellness of LGBTQ youth. In video two Dr. Holt debunks some of the biggest myths around sexuality and gender identity. In video three Dr. Holt discusses the various stages of coming out as LGBTQ. In video four Dr. Holt tells his own coming out story and how we can work together to make the world a better place for LGBTQ youth and young adults. In video five Dr. Holt stresses why this work is so important and how collaboration is key. Written testimonials are also shared. In video six Dr. Holt tells you how you can get a free download of his LGBTQ affirmative coloring book. For Health and Wellness books, click here. 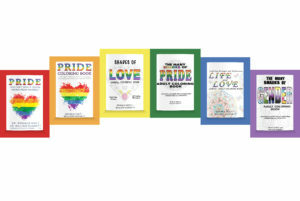 For LGBTQ+ books, click here. Or click social media buttons below.